Back in the Saddle: Startup 5.0: Can't Buy Me Love? 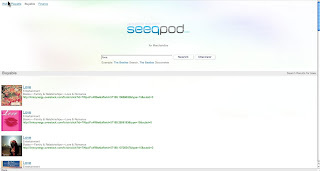 All this time, I thought Seeqpod was just about searching for mp3s. Turns out the company has several initiatives underway that combine it's search capabilities with particular areas of focus, including finance, video, shopping, etc. 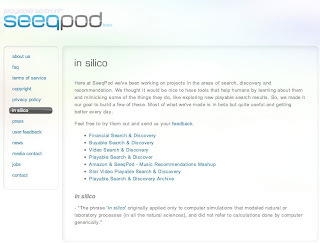 I thought I'd give the buyable search and discovery a try. 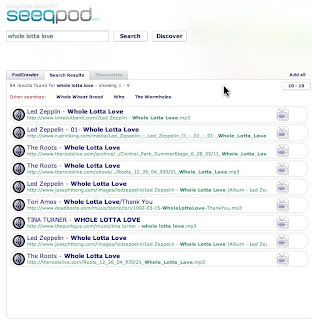 They recommended I search the Beatles, but, nah! I thought I'd search for the one thing the Beatles told us that money can't buy. That's right. I searched for "love." But I have to say, the results are not too shabby.